Our attorneys represent insurers, self-insureds, third-party administrators, businesses, individuals and professionals through all phases of civil litigation in state, federal and appellate courts in Minnesota, Wisconsin and North Dakota, as well as providing pre-litigation analysis and claim resolution, including through arbitrations or mediations. From the standard automobile case to a complex commercial trucking, construction, premises, product, professional malpractice, employment, care facility, or insurance coverage matter, and even to matters involving cemetery and mortuary law, CVMM has attorneys with the expertise and experience to assist and work in partnership with our clients to achieve a successful result, whether through settlement, motions or trial. The attorneys of CVMM value the longstanding relationships they have developed with clients both locally and throughout the nation and they look forward to the opportunity to establish new relationships with clients seeking representation in the Upper Midwest. Many of our attorneys are consistently named among the Best Lawyers in America, Minnesota Super Lawyers and Minnesota Rising Stars. Although the law firm of Cousineau, Van Bergen, McNee & Malone, P.A. officially incorporated and began operating in 2016, its roots extend back decades as the Civil Litigation practice group of Cousineau McGuire Chartered. 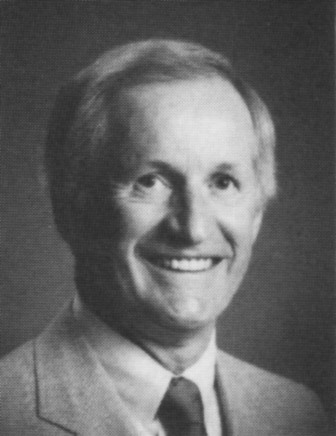 The origins of Cousineau McGuire Chartered date back to 1948, when Roy Mordaunt, a member of Minnesota’s then-largest insurance defense firm of Sexton, Mordaunt, Kennedy and Carroll, started a new firm with his son called Mordaunt & Mordaunt. Roy’s granddaughter and John’s daughter, Barbara Burke, would eventually become an attorney at Cousineau McGuire Chartered and would serve as that firm’s president from 1998 to 2000, making her one of the earliest female law firm leaders in the region, and solidifying Cousineau McGuire’s tradition of including a high percentage of female attorneys within its ranks – a practice which continues at CVMM. The Mordaunts’ firm was an actual partnership that endured for decades, as partners were added, senior partners retired, and newer partners took over the firm’s business. The firm’s practice included both civil litigation and worker’s compensation, and, initially, the firm’s attorneys practiced in both areas. Over time, however, as the firm grew and the practice areas became more defined, two distinct practice groups were delineated: the Civil Litigation practice group, and the Worker’s Compensation practice group. Group photo of Cousineau attorneys. 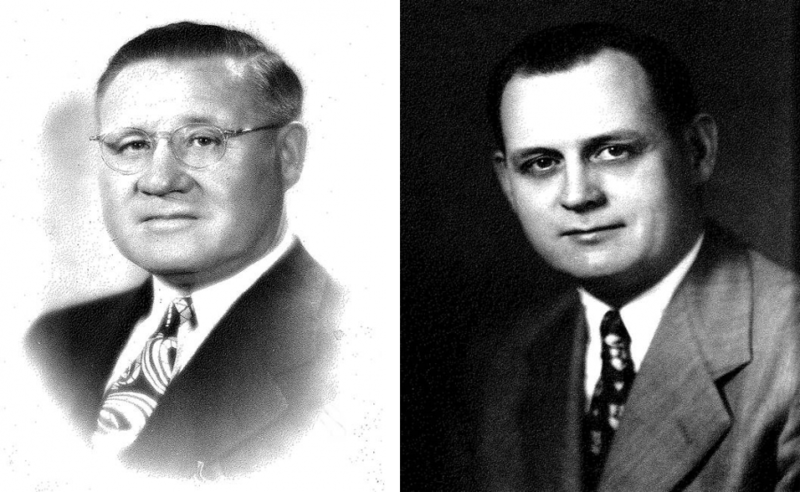 In the 1950s, the attorneys who would later serve as mentors to CVMM’s founding partners joined Mordaunt’s firm: Henry Cousineau, in 1955; and Robert McGuire, in 1959. 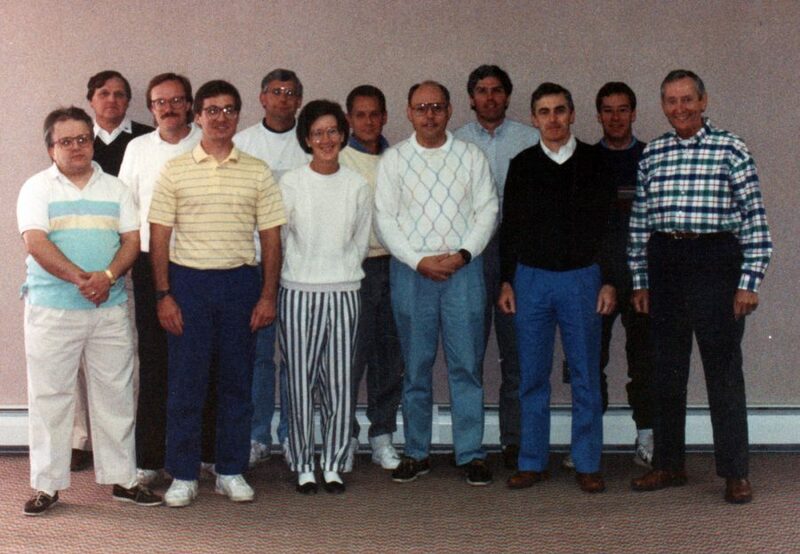 In 1964, the firm changed its name to Mordaunt, Walstad, Cousineau & McGuire; and, with the addition of Craig Anderson and Steve Shaughnessy as partners in 1972, the firm became known as Cousineau, McGuire, Shaughnessy & Anderson. The firm continued operating as such until 1990, when it adopted the name of Cousineau, McGuire & Anderson Chartered; and the firm was then renamed to Cousineau McGuire Chartered in 2005. 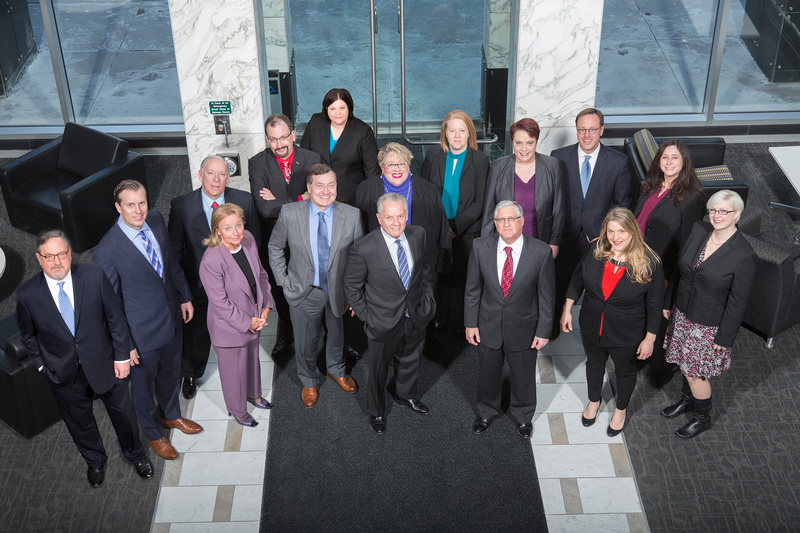 Many of CVMM’s attorneys, including several of its founders, devoted their entire legal careers to Cousineau McGuire’s Civil Litigation practice group and, consequently, have had the privilege of working together for more than forty years. 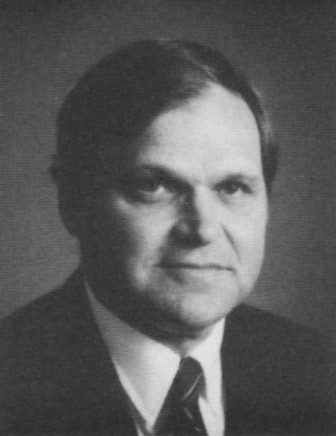 Peter Van Bergen, CVMM’s first president, joined Cousineau McGuire in 1975, served as president of Cousineau McGuire from 2001 to 2011, and became the firm’s Chief Executive Officer after Cousineau McGuire incorporated in 1981. 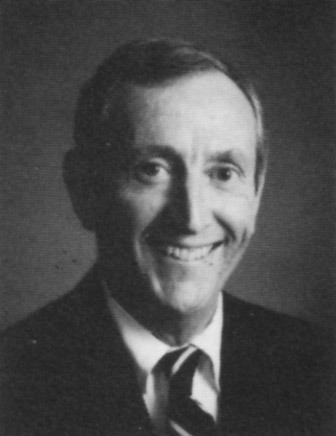 Michael McNee, CVMM’s first vice president, joined the firm in 1979; and Michael Barrett, CVMM’s first secretary, joined the firm in 1984 as a law clerk. James Haigh (of counsel) joined the firm in 1979; and Susan Thurmer (of counsel) joined the firm in 1981, left the firm after several years and ran her own successful private practice, and then rejoined the firm in 2001 to continue practicing with her colleagues. 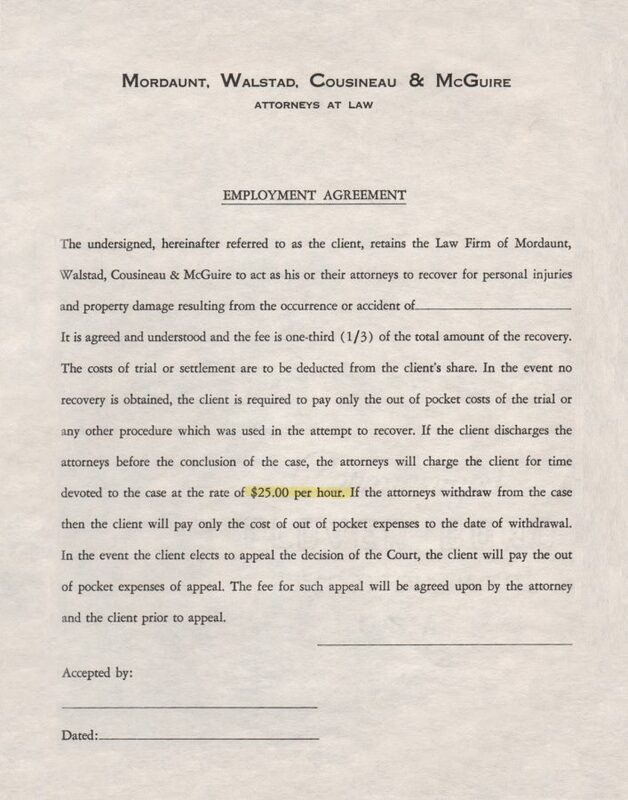 Early employment agreement from Cousineau. In 2016, the two individually successful practice groups of Cousineau McGuire made the difficult but considered decision to split into two new firms. The Civil Litigation practice group became Cousineau, Van Bergen, McNee & Malone, P.A., and the Worker’s Compensation practice group became Cousineau, Waldhauser & Kieselbach, P.A. Exemplifying the immense pride they felt for their collective roots, however, both firms chose to carry Cousineau’s legacy into the future by incorporating it into their namesakes. Cousineau, Van Bergen, McNee & Malone, P.A. began operating on December 1, 2016, and was comprised of the entire Civil Litigation practice group from Cousineau McGuire — attorneys, secretaries, and paralegals alike. Through the strength of its relationships – both with clients and with peers – CVMM continues its heritage of reliable, responsive, and effective legal representation.